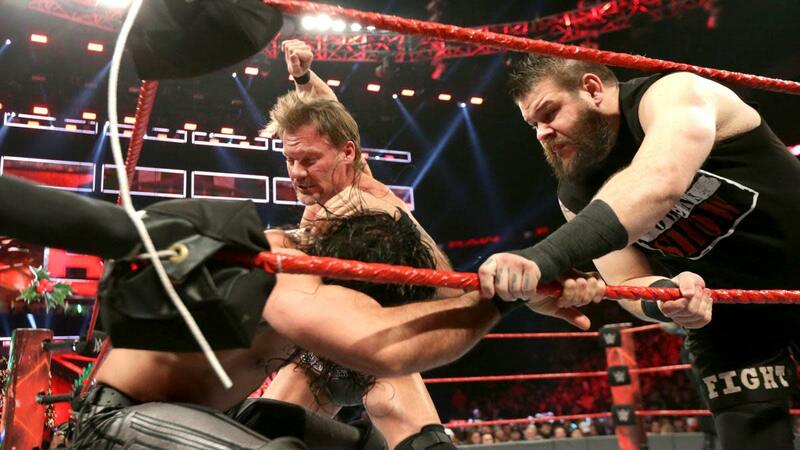 On the penultimate episode of Raw for 2016, Kevin Owens and Chris Jericho reaffirmed their friendship after Jericho helped Owens retain the Universal title at Roadblock. But Owens will once again have to defend his title against Roman Reigns at the Royal Rumble, and this time Jericho will be suspended in a shark cage above the ring. Last night's Raw also featured Braun Strowman running wild after Sami Zayn survived 10 minutes with him on Sunday night, a new direction for the women's division with the start of two new feuds, and the build to what's next in the tag and cruiserweight divisions as we close out the year.